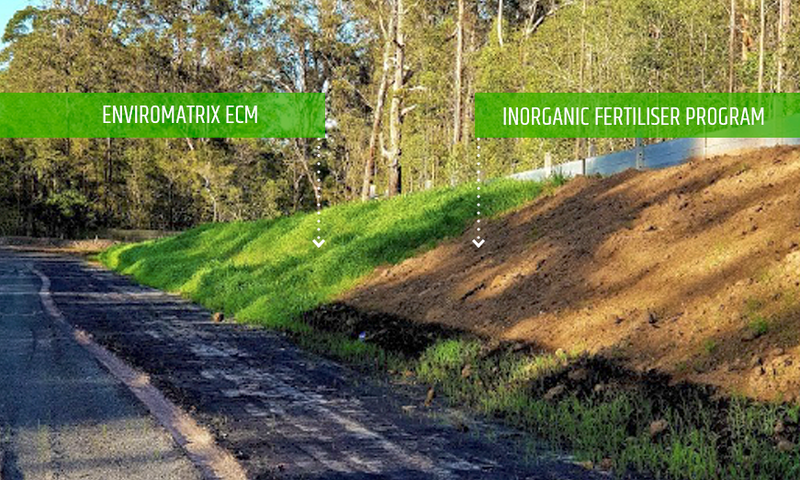 Comparison trial of the EnviroMatrix ECM program and a conventional inorganic program. 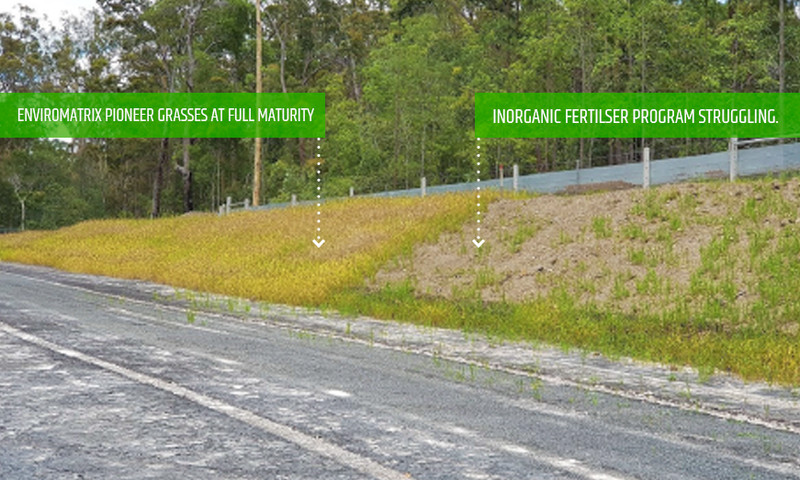 The Trial was set up to determine the best approach to ensure the revegetation and rehabilitation works would meet or exceed the desired outcome. 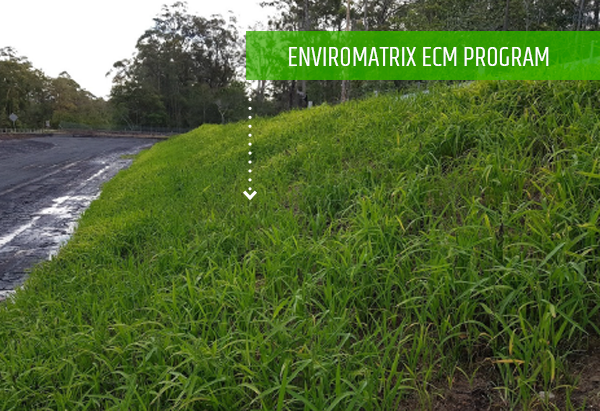 The EnviroMatrix approach is based on providing a whole of life project outcome, eliminating the need for maintenance, nature makes use of a different methodology in rectifying imbalanced disturbed and unfertile soils. The Soil biology in collaboration with plants deliver's the most desirable outcome in a much shorter time frame and in a self-sustainable way that requires the least inputs with the lowest carbon footprint. maximise plant establishment and growth, with the use of high analyses water-soluble fertilisers and pH adjusting soil conditioners, without taking into consideration the effect these soil conditioners and soluble fertilisers can have on the soil’s natural biological system. Based on this concept soil pH plays a major part in nutrient mobilisation and plant availability, therefore, the need to correct soil pH becomes a critical step in the re-vegetation program. with the net result of an initial higher carbon loss thus delaying the recovery process of the natural Biological system. 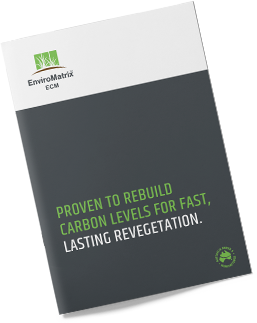 The EnviroMatrix ECM program approach is designed to work with nature kick-starting the soil's Biological system creating a living soil that provides a long-term self-sustaining outcome. 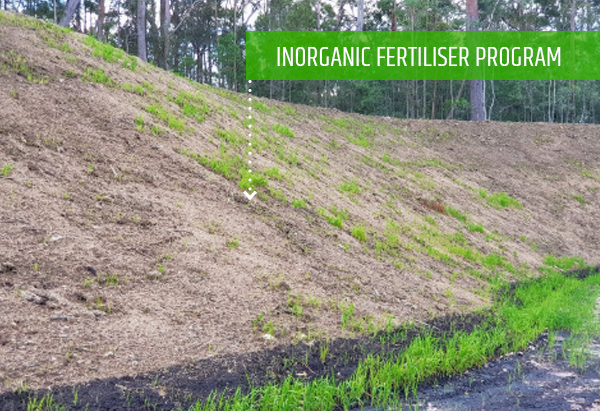 The EnviroMatrix Approach: Step 1: Was to apply a low rate of Calcium Plus a high neutralising value calcium product for plant establishment, via the Hydromulching equipment and rip it into the subsoil to a minimum depth of 150mm. Step 2: Place the topsoil and track roll prior to appling the EnviroMatrix ECM Biotic growth medium. In comparison: Step 1: Of the conventional program was to apply to the subsoil 50% of the below-listed ameliorates including the fertiliser, ripping it into the subsoil a minimum 150 mm prior to the placement of the topsoil layer: Step 2: Place the topsoil and track roll, prior to applying EnviroStraw Plus hydromulch with the remaining 50% of the ameliorates and Fertiliser included. 5 ton of Agricultural grade Lime. 5 ton of Agricultural grade Gypsum. 400 kgs. of CK88 Fertiliser applied directly to the subsoil.